Should Professional Athletes Speak Out About LGBT Equality? Or keep their opinions to themselves? Even though America’s cultural, social, and political climate is becoming increasingly accepting of lesbian, gay, bisexual and transgender Americans, why is sport still considered to be a unsettling environment for many LGBT people on and off the field? While the emergence of much discussion and debate in sport is positive in the U.S., yet dangerous in other parts of the world, there remains a huge mountain to climb. Although we have made considerable progress in a short period of time, the facts show that we still have a long way to go. Much work remains to be done to get the sport sector focused on the path toward the behavioral change that is needed for any real, sustainable movement. By its very nature, sport provides effective platforms to promote the ideals of respect, acceptance and equality for all. One should not underestimate the importance and magnitude of a professional athlete that has decided to come out on their own terms. Athletes coming out in sport at all levels are critical for young people, particularly LGBTQ youth. It’s really important that our youth see that it’s safe to come out if they are LGBTQ themselves. Yet make no mistake, opposition still remains entrenched, particularly in the culture and on the playing fields of sport. I suspect that the public conversations and discussions are far different then the private grumbling that’s going on behind closed doors. While there have been a small number of courageous professional athletes that have recently come out (Brittney Griner, WNBA: Jason Collins, NBA; and Robbie Rogers, MLS) these remain few and far between. We have still yet to see an active NFL, NHL or Major League Baseball player come out. While many of the most powerful sports institutions in America have made great strides to publicly support and embrace LGBT equality, the truth is that sexual orientation and gender identity remains problematic for many organizations within sport at all levels. If this were not the case, we would see hundreds, if not thousands, of LGBT athletes on the playing fields. Wouldn’t that be a game changer? And we would see many more coaches and sports administrators that felt safe enough to come out without the risk of losing their job. Perhaps the lack of visible LGBT high-profile athletes can be seen as a direct result of the discomfort sport continues to have with LGBT people, which ultimately leads to manifests itself in a number of ways throughout sporting organizations, leagues, governing bodies, etc. Although there is acknowledgement among some sporting organizations that issues and barriers exist for LGBT people, there is often a lack of expertise in the area, and in many cases, persistent stereotyping and a general confusion about LGBT issues in sport. If we are ever going to tackle these issues and have sustainable results, we need to move from the passive notion of tolerance of LGBT athletes towards the active concept of acceptance to accelerate equality for all. This is one of the main reasons behind the recent launch of United For Equality In Sports & Entertainment. If we as a society view sports solely as an arena to play, we overlook the cultural impact that sports has contributed to society for decades. We also overlook the great courage of athletes, gay and straight, who stand up and use their voices and athletic talents to inspire, while potentially sacrificing the rewards of their own success to improve the lives of others. Just as sports can reflect culture and society, they can also reflect the struggle and discrimination of others. The story of the early civil rights movement would be incomplete without mentioning Jackie Robinson just as the women’s movement would be incomplete without mentioning Billie Jean King’s contributions. The story of the LGBT movement would certainly be incomplete if we didn’t mention courageous and pioneering athletes like: Martina Navratilova, Greg Louganis, Dave Kopay, Billy Bean, Brittney Griner, Jason Collins, Robbie Rogers among others. The personal stories these individuals have shared with us have had a dramatic and positive impact on the lives of LGBT youth and athletes. In fact, their stories are not only powerful in promoting change and equality in sport, but they are so important for young people to hear. LGBT youth can identify and relate to the fearlessness and struggle of other LGBT athletes. With the tragedies of bullying and suicide attempts rising in the U.S. among LGBTQ youth, positive coming out stories not only can inspire LGBTQ youth to dream of a brighter future, but it may actually help save a life. Real courage means standing up and speaking out when its not popular. To not speak up in sport is doing a great injustice to our young people who feel less than for being different. 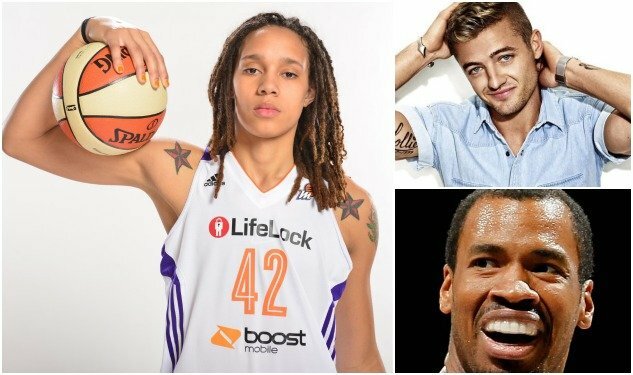 The individuals that potentially have the most impact on LGBT athletes that remain in the closet are other LGBT athletes. Martina Navratilova and Greg Louganis were heroes to me. As a closeted athlete in college who struggled and was afraid to come out, they were a guiding light for me. Meeting Martina in the early 80’s changed my life in a way she will never know. Thank you Martina. Make no mistake, young people remain at risk of LGBT bias and discrimination in sport and the consequences of this can be harming, including alienation from sport for life. Unfortunately, for too many LGBT young people the built-in safety nets of support, acceptance and caring do not exist fully in sport. LGBT youth need to see other LGBT athletes like themselves playing at all levels of sport. Right now, that’s not necessarily the case. While very few of us ever get the chance to play professional sports or make the Olympic team, we can all stand up for ourselves and lend our voice for others when we witness discrimination of our LGBT brothers and sisters - on and off the field. As a community that cares we need to inspire, empower, educate and promote understanding to ensure that the opportunities and dreams are the same for all athletes, regardless of their sexual orientation or gender identity. 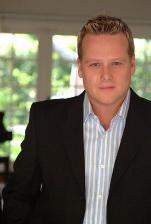 David McFarland is the Founder & CEO of United For Equality In Sports & Entertainment UESE.org and a strategic advisor to U.S. and international game-changers from the worlds of entertainment, sports, media, business, philanthropy, finance, social enterprise and technology. David is the Former, Chair and CEO of The Trevor Project. Follow David McFarland on Twitter.